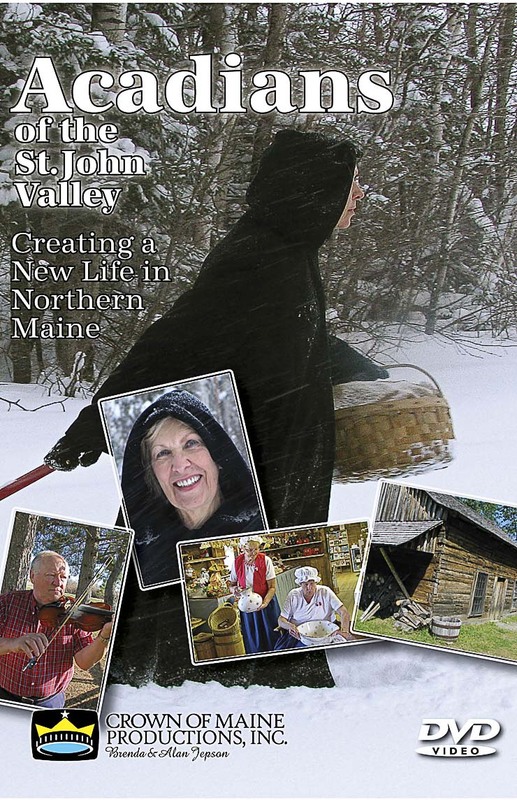 Acadians Of The St. John Valley" (Part 1) is an hour long film that discovers where these Acadians come from in old Acadia and how they made their way to the St. Johns Valley of Northern Maine. 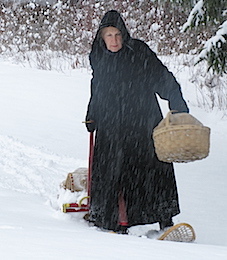 The film follows the plight of these refugees as they carve out a new life for themselves in a harsh landscape, making do with very little, but succeeding by carrying with them the values and skills that helped them thrive in Acadie. See how they re-enact the arrival of their ancestors by canoe every year on the St. John River, find out how they have preserved their cultural artifacts, including whole buildings, and discover how they continue, to this day, to practice the traditions of their forefathers. These scenes are set against the backdrop of the beautiful St. John Valley with its forests, fields and slow flowing river. Sound track specially composed by Harry Roper. "... 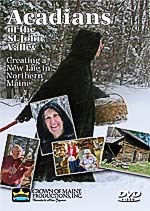 Thanks Brenda Nasberg Jepson for this wonderful DVD," Juliana L'Heureux, the Franco American writer for the Portland Press Herald for 25 years.